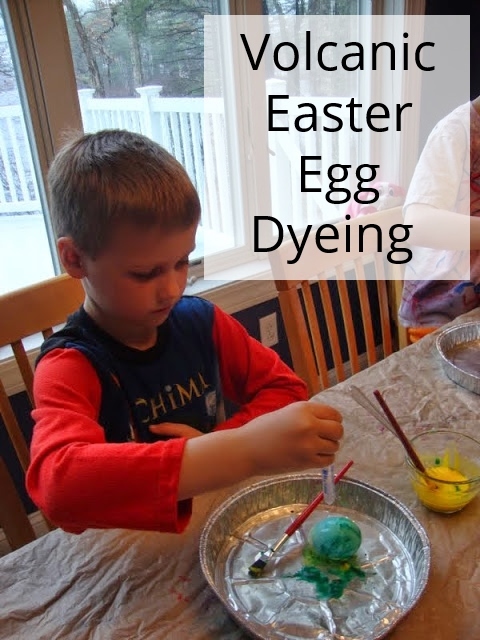 I have been searching for some bagged cotton candy for some time now so that I could do some quick and simple science experiments with the boys. I was so excited to find a few bags at Target mixed in with all their Easter decor and the boys and I could not wait to dig in. First they had to taste test it and then we got down to business. 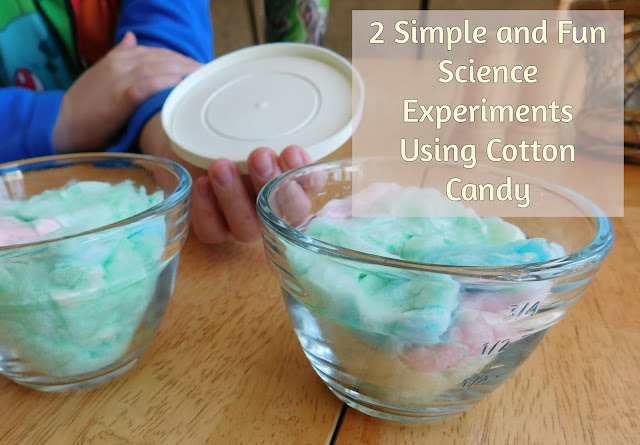 For the first experiment we put equal amount of cotton candy in two matching containers and set a lid on one while we left the other out and exposed to the air. 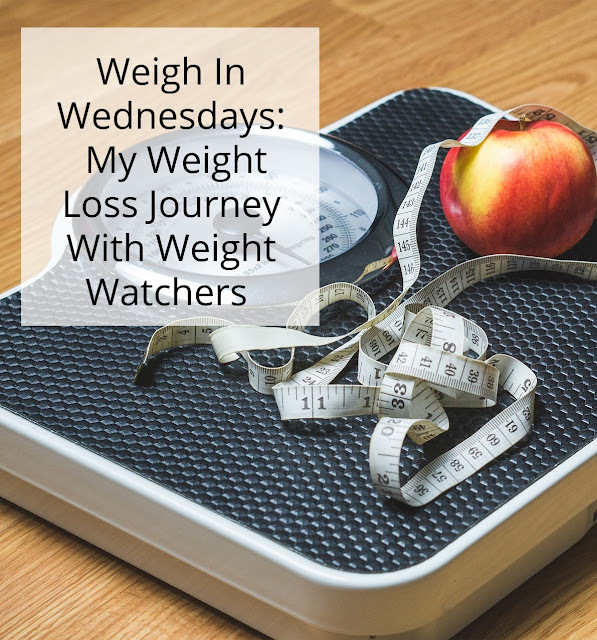 For the first few days they looked exactly the same. Then gradually we began to notice that the uncovered jar began to shrink, and shrink, and shrink some more! Exactly a week later we examined our jars and noticed that the shrunken pile of cotton candy was not only significantly smaller but it was hard as a rock too. The covered pile was unchanged and we discussed WHY this happened. Then the younger boys asked what would happen if we added water to them. Evan thought the hard pile of cotton candy might fluff up a bit more but Alec predicted that it would melt. So for our second experiment Alec got two equal measurements (1/4 cup each) and filled them with water that was the same approximate temperature. He then poured the water onto the two piles at once. The fluffy cotton candy immediately shrank and dissolved right before our eyes. The harder packed and dried out cotton candy took a bit longer to absorb the water and then it too began to dissolve. Do you have any favorite food experiments? I think we need to get one more package and look at it under the microscope! This would be my favorite food experience of all time!!! Crazy on the shrinkage. It was so neat to see.